The Victorians were such ingenious people. 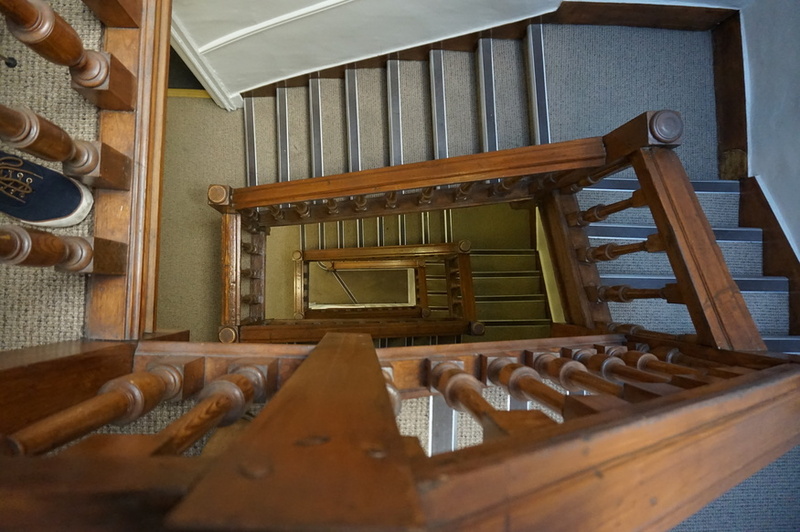 What you see above is the staircase at Lock and Co. Hatters, on St James's Street. The building dates back to 1686, when it was a coffee shop run by George Lock. Above his (we presume) delightful cafe, tenants were renting apartments. Incredible location? Check. Wake up with the smell of coffee in your nostrils? Check. Easy access for the undertaker to come and get you, when your time comes? Er, no. See, the staircase was so narrow that it was incredibly difficult to manoeuvre down with a coffin in tow. This meant the undertakers would charge the deceased's family a small fortune to get their relative out the door. 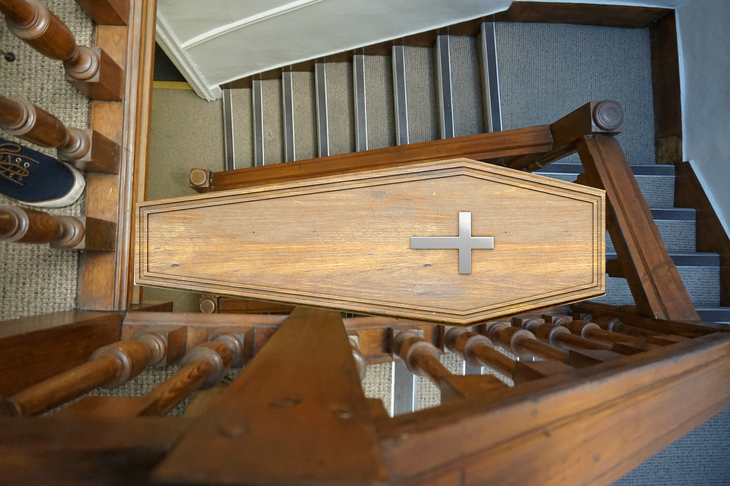 So eventually the staircase was redesigned with a stairwell with the perfect proportions to lower a coffin down the middle. Nifty, huh? This is one of the oldest examples in the country, still surviving perfectly to this day. Can't quite work out how it would've worked? We've made an impeccable mock-up that explains it.